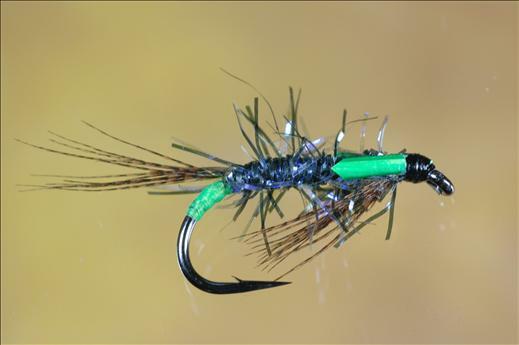 The UV Straggle Black and Green Diawl Bach has taken the competition scene by storm. The silver or gold flash through the colour brings the fly to life, giving that little bit extra excitement. It is a colourful fly that often produces savage takes. Currently there are no comments about the UV Straggle Black and Green Diawl Bach fly pattern from other fly fishermen yet.